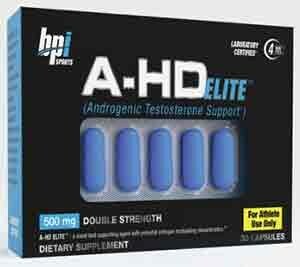 A-HD Elite is testosterone booster manufactured by BPI Sports. It is not a new product as such. 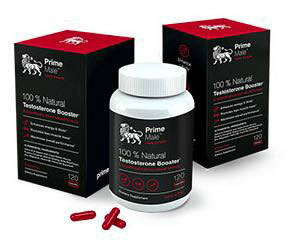 It’s designed to be an improved version of their original testosterone booster A-HD, but the two formulations don’t share any of the same ingredients so apart from the fact that they are both testosterone boosters the only similarity is the name. 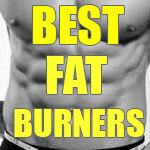 The promised benefits are improved stamina and a harder, shredded physique. Nobody can accuse BPI Sports of making a lot of wild and lazy claims, but the A-HD Elite sales page consists of just a few short paragraphs and some pictures of the box, so the refreshingly BS-free marketing is accompanied by a distinct lack of information about the product. Testosterone is a vital hormone that plays an important role in muscle growth and development. In men the testes are responsible for most of the testosterone produced, but the adrenal gland also secretes testosterone. Women produce testosterone via their adrenal glands as well, but the leydig cells in their ovaries are the female body’s main testosterone supplier. Studies conducted at the Rochester School of Medicine and Dentistry in New York (USA) suggest testosterone increases protein synthesis by as much as 27%. Unfortunately the body produces less testosterone as it grows older and the supply drops considerably relatively early on in life. 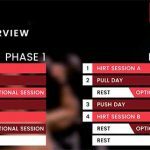 Testosterone boosting products that work in the promised manner can stimulate the necessary glands and get production back on track, leading to improved protein synthesis and gains in muscle mass. Ever since discovering Prime Male, we have been huge fans. It is a product which can make you feel its effects within a single day of using it. The feeling of heightened vitality, libido and drive are tell-tale pre-cursors to the improvements in body composition that follow. We are extremely impressed with the affordability and versatility of it. And as a bonus, it can be shipped anywhere in the world at no additional charge when you choose the right package. We have a review of Prime Male waiting to be read. Just click on the link below. One capsule per day is all that is required. 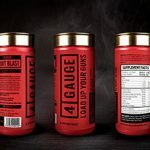 BPI Sports suggests this should be taken in the mornings at the same time each day, and stress the importance of taking the capsule on a full stomach. 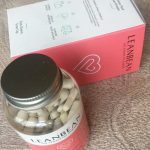 For best results capsules should be taken in four week cycles—two cycles on followed by one cycle off. Each capsule provides 500mg of a proprietary blend. Montanoa Tomentosa: A plant-based ingredient that hails from Mexico. It is famed for its abilities as an aphrodisiac and a number of studies show it has the ability to improve the pre-ejaculatory properties and erection quality in male rats, but the herb has never been used in human studies. Chenopodium Album: Considered a weed in many parts of the world, chenopodium album is also a nutritious food that appears to possess appetite suppressing abilities, but it has no known value as a testosterone booster. Caesalpinia Benthamiana: An African herb. Although many caesalpinia benthamiana users swear it can aid bedtime performance, its abilities have only been successfully tested on laboratory rats. Curcuma Longa: Turmeric—and its more versatile than many people think. A key ingredient in curries, it also offers a number of health benefits, one of which is boosted testosterone levels, but once again this ability has only been tested on rats. Trichopus Zeylanicus: Another ingredient that appears to have the ability to give male rats some extra get up and go, but its testosterone-boosting abilities cannot be supported by studies on humans. Side effects are probably won’t be an issue, but A-HD Elite is unlikely to be suitable for pregnant or nursing mothers. Anyone who has any health problems or a need for medication is advised to consult a medical practitioner before commencing supplementation with A-HD Elite. A box of 30 A-HD Elite capsules costs $42.99 from the manufacturer’s website, but Amazon customers can usually expect to make savings of up to 50%. 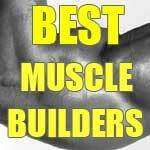 It is also possible to purchase the capsules from BPI distributors all over the world, including GNC stores, and from a number of online sources including Swanson Health Products and Bodybuiling.com. No money back guarantee is offered, but BPI Sports will reimburse customers for any unopened product that is returned within 30 day of purchase. A few customers report unsatisfactory results and comment the product “didn’t make much difference”, but such responses are few and far between. The majority of users appear to be impressed. A-HD Elite appears to be a quality product. It would have had to do something monumental to budge Prime Male off the most recommended spot though, and it falls short. That’s no offence to BPI Sports at all. In our opinion Prime Male is just that good.